A balanced gaming laptop. MSI also uses the GeForce GTX 1070 graphic card in the GT62VR 7RE. The processor is new: Kaby Lake is used now. The rest of the features is also alright: IPS display, SSD+HDD, and 16 GB of RAM. 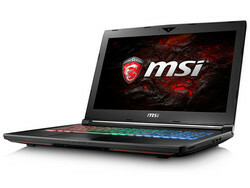 The MSI GT62VR 7RE is the successor of the identically designed GT62VR 6RE Dominator Pro, which we had already under review. With the current model, MSI has replaced the Skylake processors with Kaby Lake processors. Competitors are devices such as the Alienware 15 R3, the Schenker XMG P507 PRO, and the Acer Predator 15. Since the GT62VR 7RE and its predecessor share the same design, we will not cover case, connectivity, display, input devices, and speakers in detail here. Please refer to our GT62VR 6RE review for information about these. 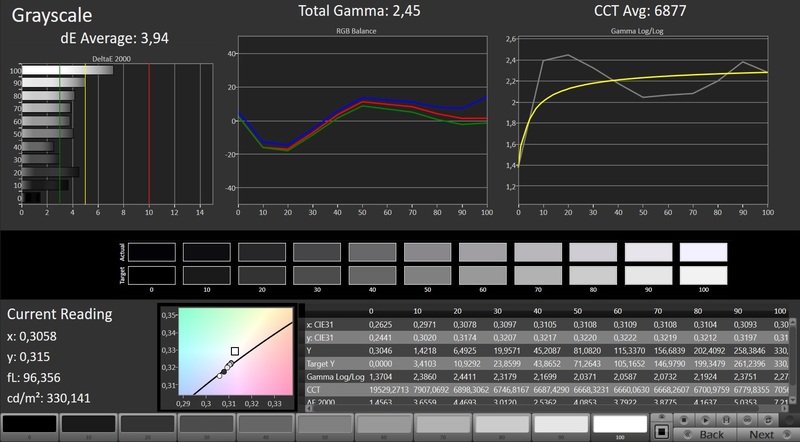 The GT62VR 7RE uses the same contrast-rich and viewing-angle-stable Full HD IPS display as its predecessor. The measurement values are slightly different, but this is usual. Two identical displays are never absolutely the same. The panel supports Nvidia's G-Sync technology, which dynamically adjusts the frame rates of display and GPU to each other. 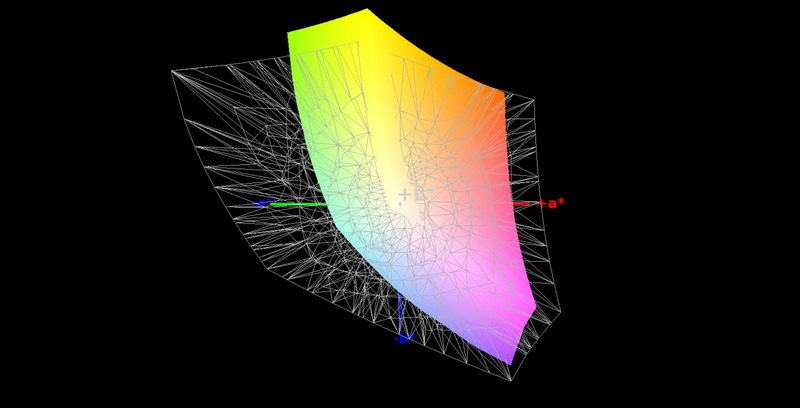 This is supposed to give as smooth an image as possible; especially in computer games. 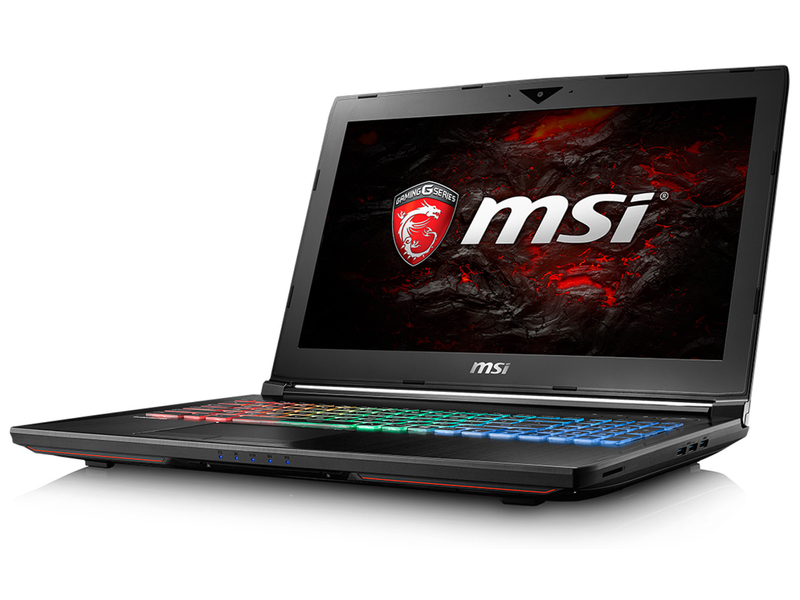 With the GT62VR 7RE, MSI has a 15.6-inch gaming notebook in its line-up. The computer can smoothly run all current games. It also performs well in other fields of application such as video editing, and image editing. The device costs about 2100 Euros. First and foremost, the GT62VR 7RE is a CPU upgrade. The Core i7-6700HQ (Skylake) of the predecessor was replaced by an Core i7-7700HQ (Kaby Lake). 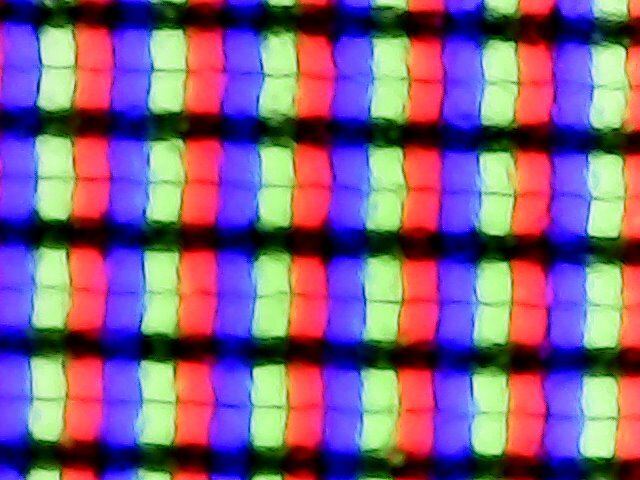 The latter features a base clock of 2.8 GHz. Thanks to Turbo, the clock rate can increase to 3.4 GHz (four cores), 3.6 GHz (two cores), and 3.8 GHz (once core). Thanks to its 200 to 300 MHz higher clock rates, the Core i7-7700HQ performs slightly better than its predecessor in our CPU tests. You will not really notice the small performance gain in everyday use. 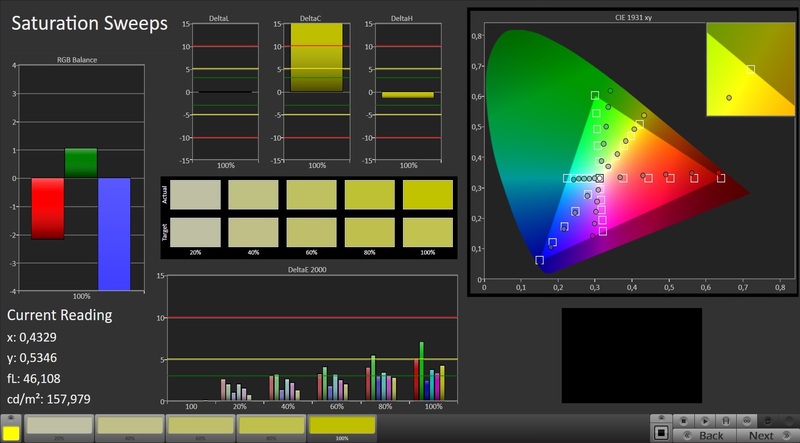 Primarily, it becomes apparent in the benchmarks. 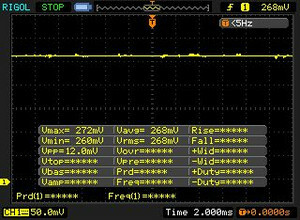 The CPU works at 3.4 to 3.8 GHz in single thread applications and clocks at 3.4 GHz in multi thread applications. 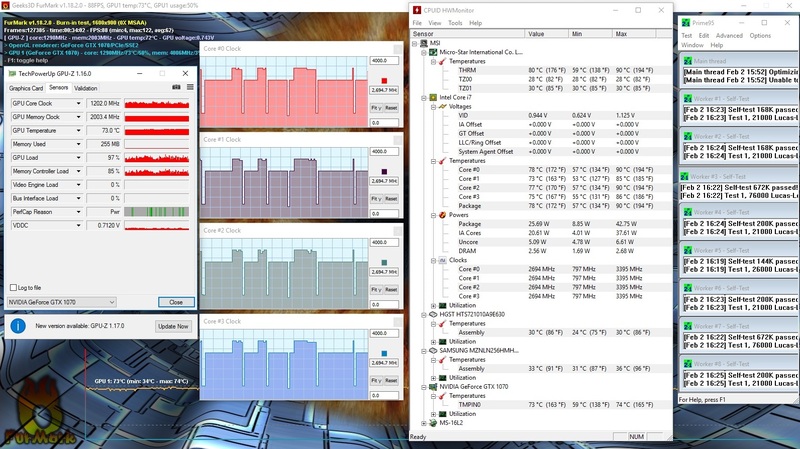 Thanks to a fast SSD, a powerful processor and a fast GPU, the MSI computer is not lacking in system performance. 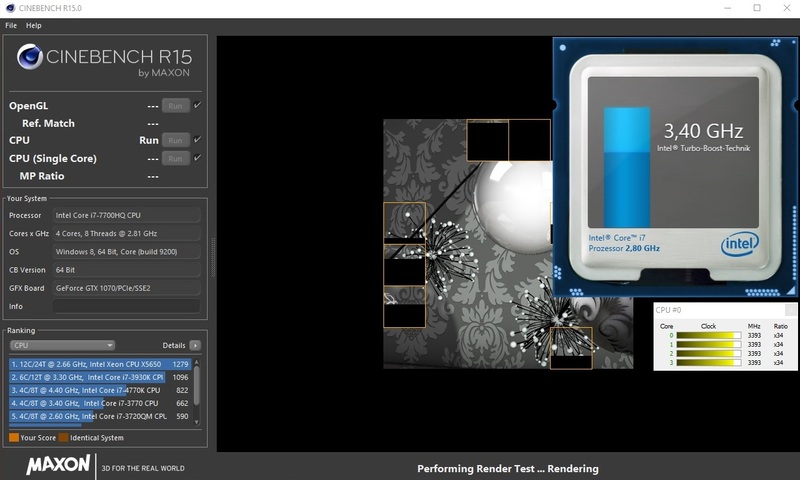 Hence, the GT62VR 7RE achieves excellent results in the PC Mark benchmarks and is suitable for all applications with high demands on performance. The performance could even be slightly improved by adding a second RAM module in order to enable dual channel mode. The GT62VR 7RE comes with an M.2 SSD from Samsung with a gross capacity of 256 GB. The transfer rates of the SATA III SSD are quite good. As an alternative, it is possible to use a significantly faster (and more expensive) PCIe/NVMe model in this M.2 slot. In addition, the computer has a conventional 2.5-inch hard drive (1 TB, 7200 rpm) on board. The integrate GPU (HD Graphics 630) is disabled and cannot be activated. The BIOS of the computer does not have such an option. As a result, Nvidia's GeForce GTX 1070 is used all the time. 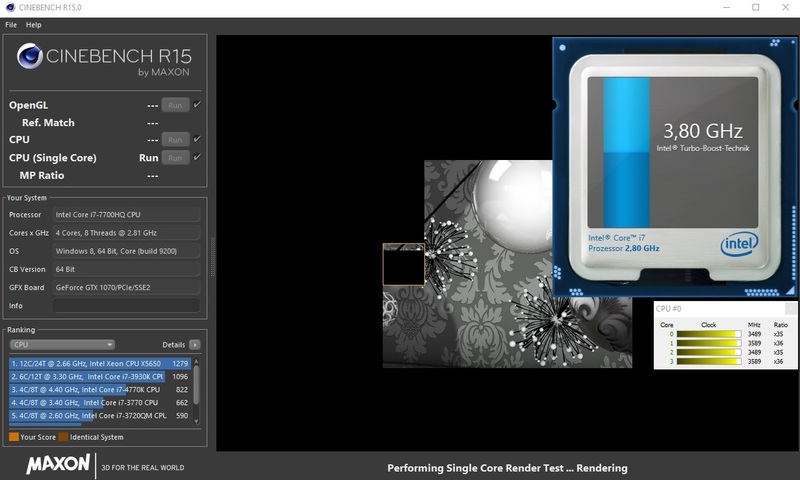 The Pascal chip supports DirectX 12 and reaches clock rates of up to 1873 MHz. However, this high clock rate cannot be maintained for a long time. In our test, the CPU clocks at 1550 MHz on average. The graphics card features 8192 GB of GDDR5 VRAM. 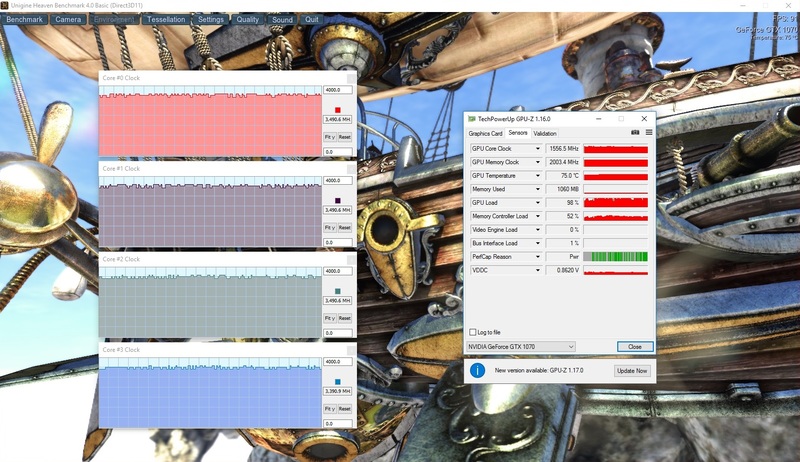 The results of the 3DMark benchmarks are as expected and on a normal level for this GPU. It should not come as a surprise that the MSI computer can smoothly run all current games. 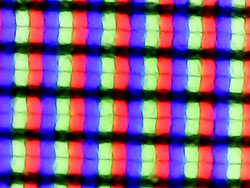 The native resolution of the display (1920 x 1080) can always be used. In terms of quality settings, it is possible to select high or maximum settings depending on the game. Many games can also be played in 4k resolution. However, this requires such a display. According to MSI's web site, the GT62VR 7RE is also available with UHD display. However, we could not find models using such a display. We measured a maximum noise level of 36 dB in idle mode, which is mediocre in view of the notebook's performance class. The fans are permanently active and do not run absolutely smoothly. They sound a bit like a propeller-driven plane flying at a distance. 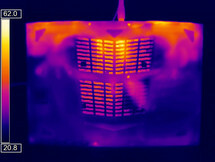 The automatic fan control, which we used during this test, is responsible for this. You can improve this: The pre-installed Dragon Center allows manually reducing the fan speed. The noise does not get too loud under load. During our stress test, the noise level increased to 46 dB - several other devices are louder. 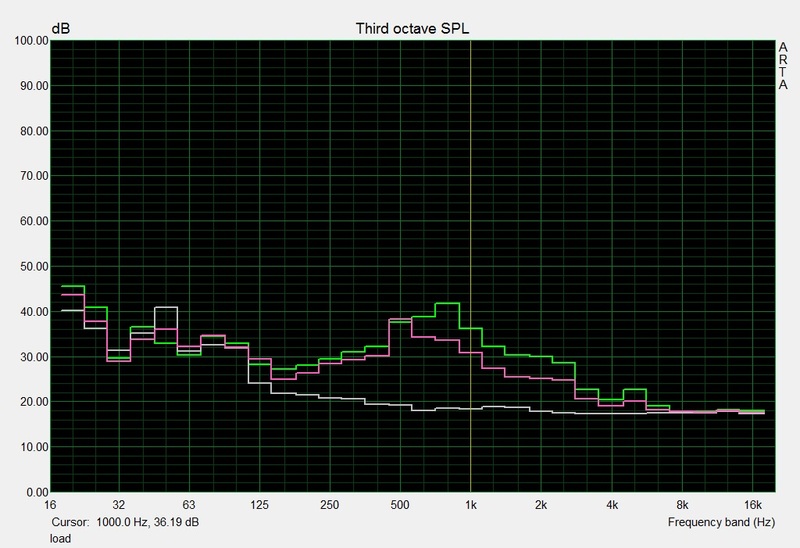 The noise level is between 36 and 43 dB during everyday gaming. The GT62VR 7RE behaves differently in our stress test (Prime95 and Furmark run for at least one hour) in mains operation and on battery. 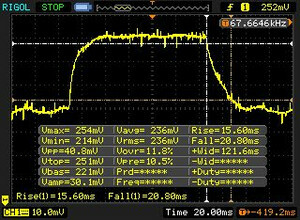 In mains operation, the processor works at 2.7 to 3.4 GHz. The GPU clock fluctuates between 1200 and 1600 MHz. However, the clock rate is slightly lower than the base clock (1443 MHz) most of the time. 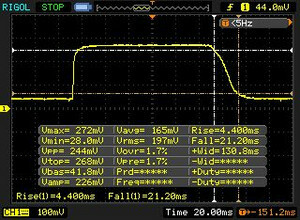 On battery, the CPU works at 2.6 to 3 GHz and the GPU clocks at 1443 MHz. 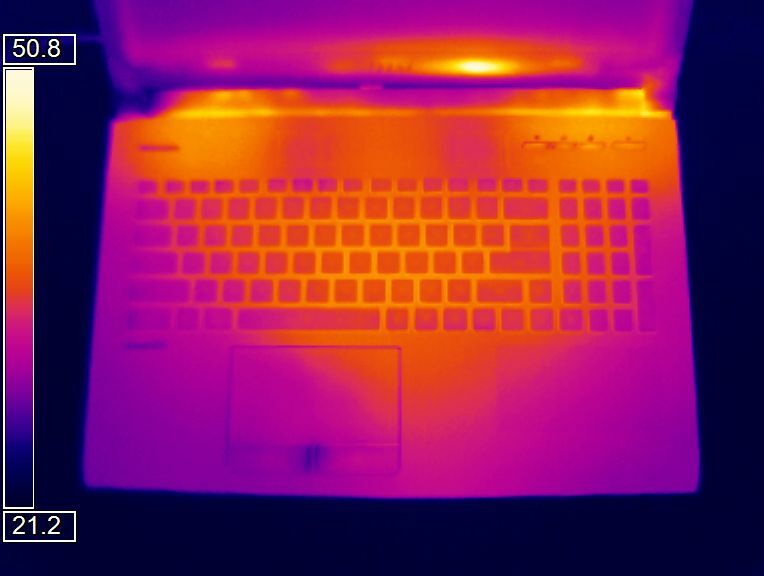 The computer does not get overly warm during the stress test. It only exceeds the 40 °C level in a few measurement segments. During everyday use, the temperature remains even lower. 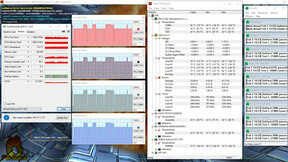 Since the integrated GPU is deactivated in the MSI, the energy demand is higher than necessary in idle mode. However, the same is true for many competitors. 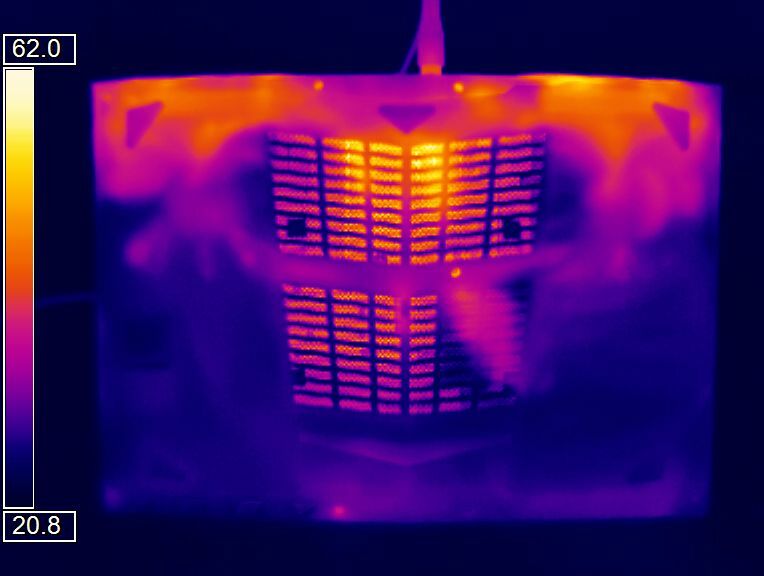 During the stress test, the power consumption increases to up to 193 Watt. Hence, the 230 Watt power adapter will not reach its limits. The energy demand is about 82 Watt (+/- 20 Watt) when playing games. In our realistic WLAN test, we simulate web surfing. The profile "balanced" is active, the energy saving features are disabled, and the display brightness is set to about 150 cd/m². The GT62VR lasts 4:06 h. In our video test, the computer achieves about the same battery runtime: 4:12 h. In this test, the short film Big Buck Bunny (H.264 coding, 1920 x 1080 pixels) runs in a loop. The Wi-Fi modules and the energy saving features are disabled, and the display brightness is set to about 150 cd/m². The GT62VR 7RE and its predecessor are on par in terms of battery life. Only the Kaby Lake model's maximum battery life is slightly longer. The combination from Kaby Lake quad core processor and GeForce GTX 1070 can smoothly run all current games in Full HD resolution with high to maximum quality settings. Pro: Despite powerful hardware, the temperature increase is only moderate. The small performance gain primarily leads to slightly better benchmark results, but is subjectively not noticeable. 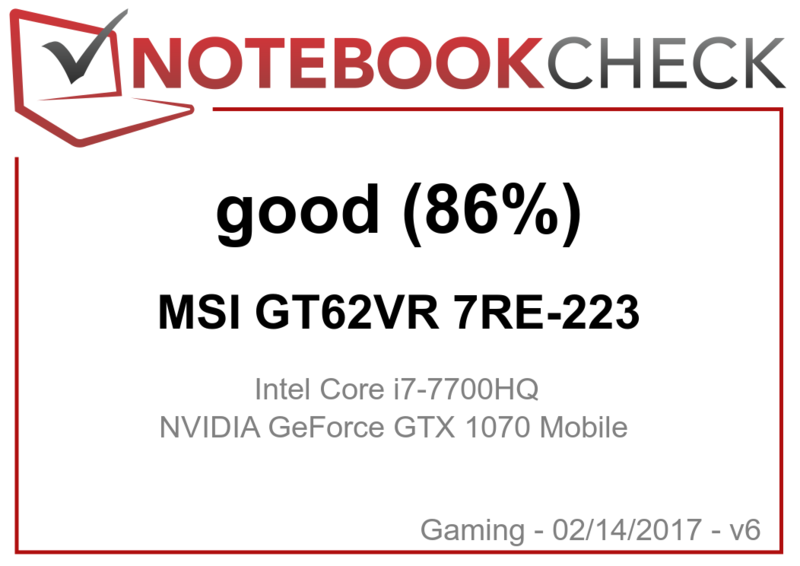 MSI delivers a generally well-made gaming notebook with the GT62VR 7RE. A fast SATA III SSD ensures a responsive system. If the performance of the SSD is not sufficient for you, you can replace it by a significantly faster PCIe/NVMe model. It is also possible to replace the existing 2.5-inch hard drive. Since the computer lacks a maintenance hatch, you will need to remove the underside in both cases. The matte Full HD IPS display works at a frequency of 60 Hz. 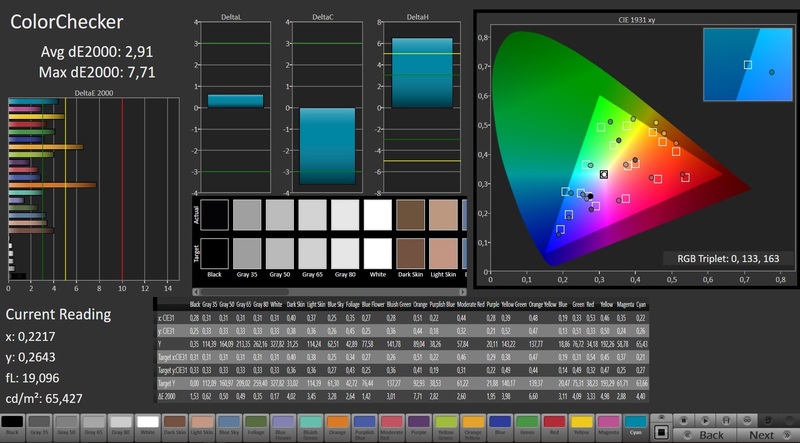 It is bright, contrast-rich, and viewing-angle stable. 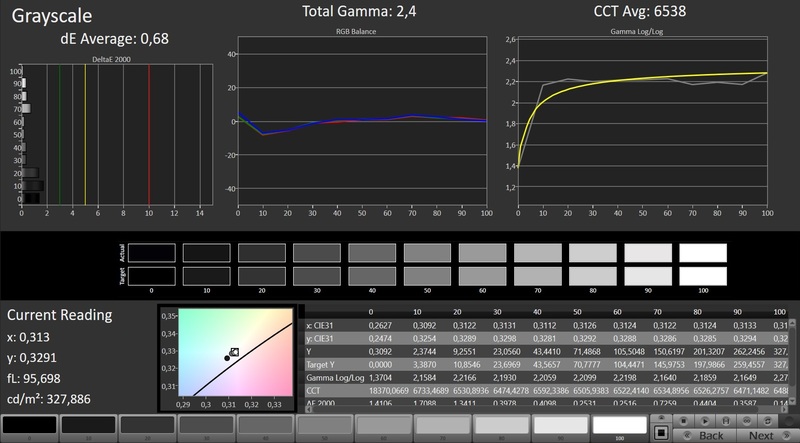 Nvidia's G-Sync technology ensure smooth image sequences.